Winter Music Conference,in its 28th consecutive year, is one of the most publicized annual music gatherings in the world. A pivotal platform for the advancement of the industry, WMC attracts thousands of artists and music industry delegates from 70 countries and over 100,000 event attendees each year for a concentrated schedule of more than 500 events, parties, seminars and workshops. Established in 1985, WMC is the largest EDM industry gathering of its kind in the world. Book your Miami Beach Hotel Early! The International Film Festival of Miami (MIFF), is considered the most prestigious appointment in U.S. Latin American cinema, celebrates its thirtieth edition March 1-10 with 117 films from 41 countries, including 12 world premieres and 12 documentaries , and a tribute to Fernando Trueba. Do not forget to check their website (www.miamifilmfestival.com) where you will find updates that are part of one of the most important cultural experiences at Miami Dade College. Call us ! We'll give you the best available hotel rate that we have! Looking for something to do with the kids today? 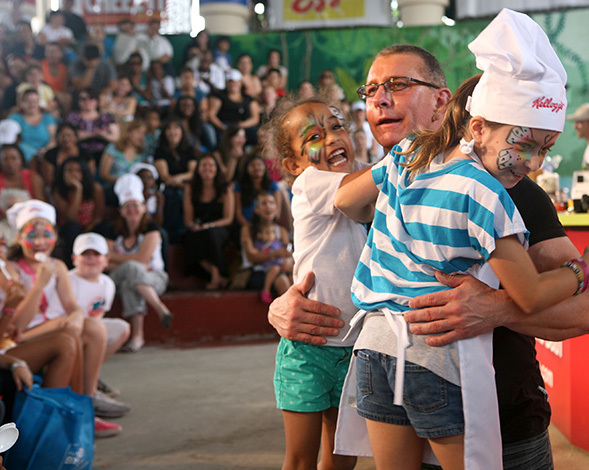 Then come to Jungle Island for Florida Blue presents Fun and Fit as a Family, sponsored by Carnival featuring Kellogg’s Kid thez Kitchen. 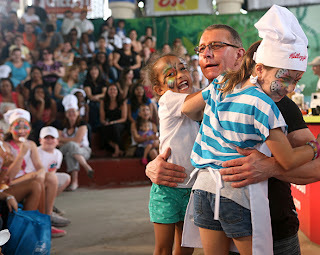 For families who like smiles and sustainable sustenance, Fun and Fit is a superb stop in an already stupendous weekend. The South Beach Wine & Food Festival will take place on February 21-24, 2013 in Miami Beach. This will be the 12th edition of the Food Network’s beach-side culinary extravaganza highlighting the latest trend in the wine and food industry. The event now attracts more than 60,000 guests from around the world to the shores of Miami Beach for this 4-day culinary extravaganza. Join your favorite Food Network hosts for cooking demonstrations, book signings, wine tastings, seminars, dinners, and parties. And remember that we are here waiting to enjoy this event together. Have you used the deco bikes before? 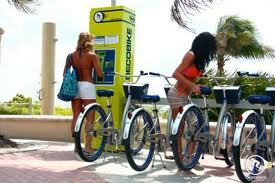 Great way to get around South Beach! Our Customer Service Is Our Pride! Here at the Miami Beach Hotels, we know you have a choice when searching for Miami beachfront hotels, that's why we're constantly working to ensure that you, our guests have the most enjoyable stay with us. Yes, we offer the best value and views on the beach but what would that be without a welcoming smile after you've traveled all the way here? And if you are still stuck in the cold up north, we are happy to tell you that the weather here in Miami is absolutely beautiful - clear blues skies, warm sunshine and a gentle breeze - so book your trip now and chase away the winter blues! 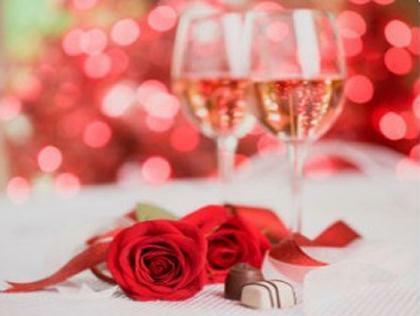 Happy Valentine's Day From all of us at Miami Beach Hotel! 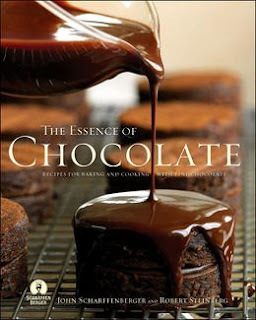 Miami Fine Chocolate and Food show will attract over 15,000 foodies and chocolate lovers throughout South Florida. This family friendly event will be held Saturday and Sunday, March 9-10, 2013 at Pinecrest Gardens, Miami. A unique fine chocolate & culinary event features fine artisanal chocolate creations from around the world. Over 150 vendors will offer samples for you to taste and enjoy as well as specialty items for purchase. The event features: live cooking demonstrations by popular chefs, pairing seminars highlighting fine chocolate & cheeses alongside crafted beer, wine & spirits, live music and entertainment for the entire family. Price increases to $35 for adults February 15th at midnight. Ticket includes: 15 sample tickets good for chocolate food or beverage samples. Also includes entry into any general admission demonstration seminar or tasting. San Valentine's Day is around the corner and the clock never stops ticking. Now is the time to book a room from one of our hotels so you and your date feel in paradise and just like that create your true love nest.